Ugh so tired of Trump. Except that he’s going to help a lot of Democratic candidates win state legislative elections. I’m not the least bit tired of that. Ready for a little statehouse action? Colorado Senate (17 D/18 R): The state’s iteration of Politifact slapped a “Pants On Fire” on an ongoing smear campaign against Democratic candidate Rachel Zenzinger, a former Senator who will win the race for this key district in the fall, helping Democrats pick up a majority in the chamber. 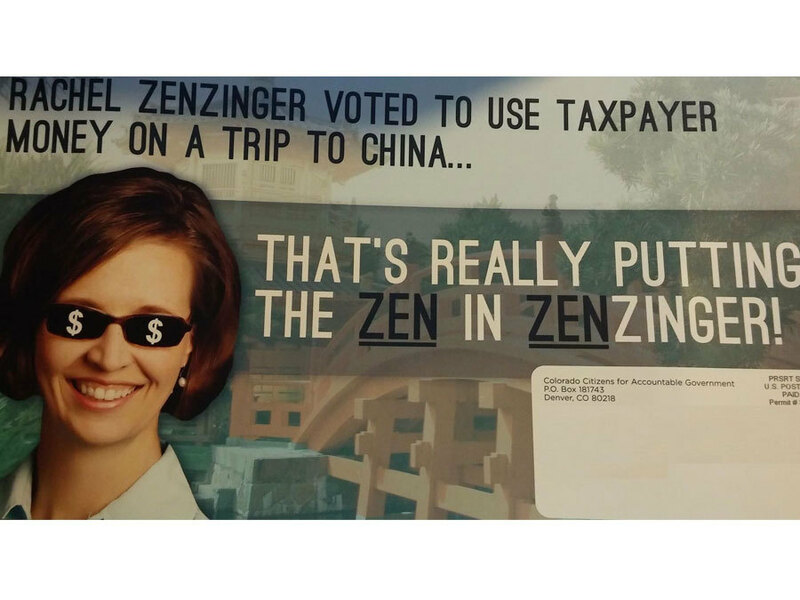 o Republican Laura Woods bested Zenzinger in 2014 by a mere 663 votes SD-19, and the false claim again being peddled by “Colorado Citizens for Accountable Government,” a conservative 527 group, may have contributed to the outcome. o GOP state Sen. Laura Woods has already gained notoriety during her brief tenure as a legislator with her extreme anti-choice positions – including sponsorship of a so-called “personhood” bill that would have effectively banned all abortion in Colorado. § Fun fact! Sen. Laura Woods used to be known as Laura Waters, back when she helped organize 2013’s anti-gun safety recall attempt of SD-19’s former Democratic Senator, Evie Hudak. § Another Colorado fun fact! Republicans’ voter registration edge is waaaaaaay down in the state – well below what it was in 2012, when Democrats won majorities in both legislative chambers. Another place where GOP voter registration is cratering? Nevada, where Democrats’ lead over Republican registered voters has spiked this year – which will help Democrats win majorities in both legislative chambers this fall. I’ve got to give love to my favorite article from last week, an Ari Berman joint on the GOP war on voting and how it’s specifically impacted voters in Wisconsin and Minnesota. It’s really a lovely contrast, what with both states being so historically, geographically, and demographically similar. The big difference between the two is that Minnesota Democrats have held between one and all three parts of the state government “trifecta” – governor, House, Senate – since 2010. In Wisconsin, it’s basically been the GOP’s show the whole time (Democrats had a majority in the state Senate for a few months in 2012, but the legislature was already out of session for the year). And they’ve been caught admitting that these measures are specifically intended to impact groups that tend to vote for Democrats. Fun fact! The Wisconsin GOP also got rid of the nonpartisan agency responsible for overseeing elections and educating the public about the new laws. Meanwhile, next door in Minnesota, restrictive voter ID measures died at the ballot box in 2012, and Democratic majorities in the legislature made voting a whole lot easier in 2013 when they established “no excuse” absentee voting. Democrats in the legislature are considering further reforms, including restoring voting rights to people on probation or parole. New Hampshire House and Senate caucuses reported record COH in late June. The Colorado primaries ousted multiple GOP incumbents. DOJ asked a federal judge to block implementation of North Carolina’s heinous HB2. Republicans in the legislature have approved one change to the law: restoring North Carolinians’ right to sue for discrimination in state courts. While this move is significant, it in no way makes this measure less bigoted and onerous for the LGBT community, who remain utterly unprotected by the state’s nondiscrimination laws. A federal judge has blocked Michigan’s “paycheck deception” law from taking effect, temporarily halting GOP lawmakers’ scheme to weaken unions and undermine their financial support by prohibiting voluntary automatic paycheck deductions. The following 2 state legislatures are meeting actively this week: MASSACHUSETTS and PENNSYLVANIA. Also meeting: DISTRICT OF COLUMBIA,GUAM and UNITED STATES VIRGIN ISLANDS. The Southern States Energy Board will hold its 2016 Briefing to Southern Legislators July 9 in Lexington, Kentucky. The Republican Attorneys General Association will hold its Summer National Meeting July 9-12 in Colorado Springs, Colorado. The Council of State Governments Southern Legislative Conference will hold its 70th Annual Meeting July 9-13 in Lexington, Kentucky. The signature submission deadline for proposed ballot measures to qualify for the general election ballot is July 7. The signature submission deadline for proposed ballot measures to qualify for the general election ballot is July 8. The Agency of Agriculture will accept comments until July 7 regarding proposed rules establishing required agricultural practices for agricultural nonpoint source pollution control. The Department of Ecology will hold a webinar July 7 regarding proposed rules governing greenhouse gas emissions.